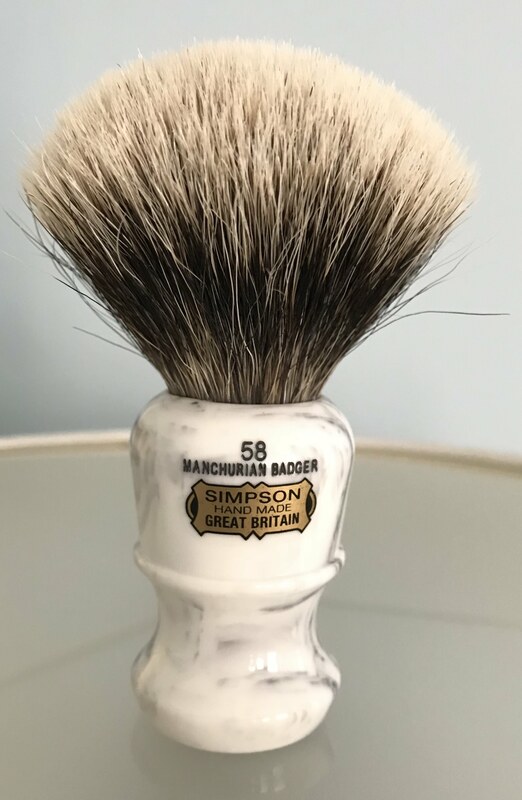 I love the looks, size and performance of this somewhat uncommon brush. Excellent brush and price! Paid full retail for mine and its worth every penny to me. I like the higher loft in this series. I have a 58 Manchurian (not tortoise however). It is an excellent brush! (11-24-2018, 04:10 PM)MaxP Wrote: I have a 58 Manchurian (not tortoise however). It is an excellent brush! I’ve got this brush too and one of my favorite. I pulled the trigger on it during black Friday. It arrived yesterday and I had my first shave with it today. It is very nice. A friend told me to wait about 15 shaves before it truly opens up. I had a Duke 2 in best a few years ago which I sold. 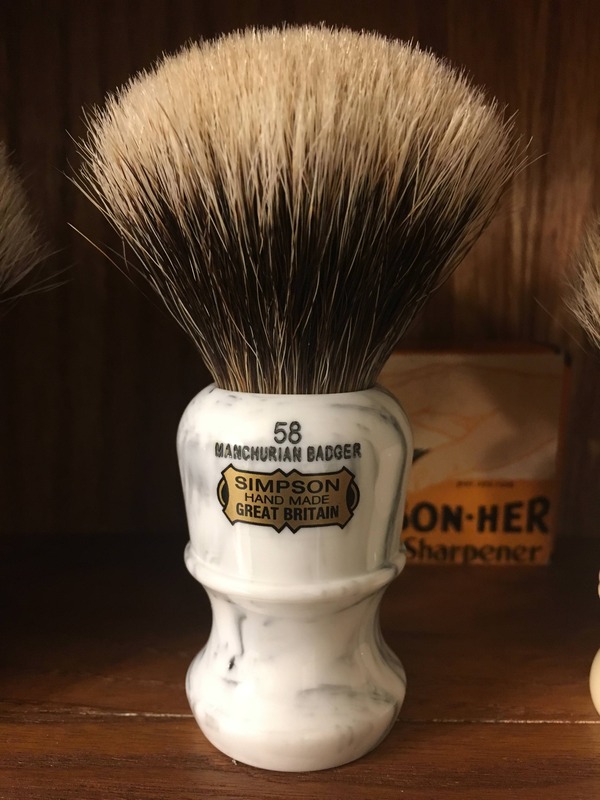 The handle was to small for me and it was a bit scratchy, but there is something about Simpson brushes. This one has no scritch or anything like that. The handle is pretty comfortable (though I have other brushes that are more suitable for my ergonomic preference). The handle is indeed beautiful. The closest comparison for me is a Zenith Manchurian, larger knot and shorter loft, and also almost new, so once both are broken in, I will post my thoughts. Just added to the Christmas list!